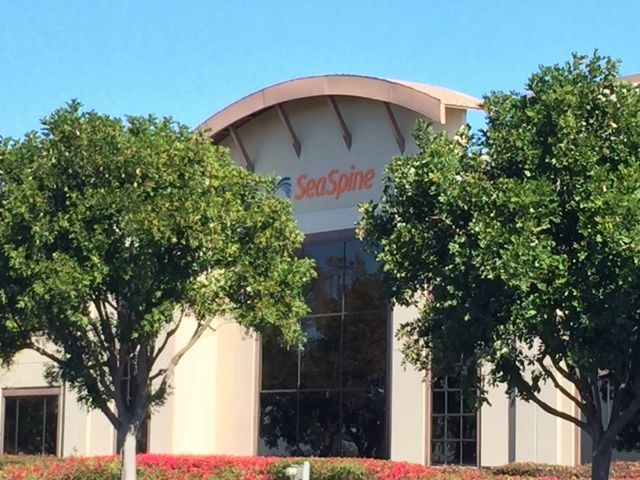 CARLSBAD, Calif., Feb. 28, 2018 (GLOBE NEWSWIRE) — SeaSpine Holdings Corporation (NASDAQ:SPNE), a global medical technology company focused on surgical solutions for the treatment of spinal disorders, announced today financial results for the three-months and full-year ended December 31, 2017 and provided guidance for 2018. Revenue for the fourth quarter of 2017 totaled $34.0 million, an increase of 4.5% compared to the same period of the prior year. U.S. revenue was $31.2 million, a 4.8% increase compared to the same period of the prior year due to strong volume growth in the U.S. Orthobiologics franchise that was driven by new distribution. Orthobiologics revenue totaled $18.1 million, an 8.8% increase compared to the fourth quarter of 2016. The increase in orthobiologics revenue was primarily driven by growth in U.S. sales across multiple product lines generated by recently added distributors. Spinal implants revenue totaled $15.9 million, essentially unchanged compared to the same period of the prior year. Spinal implant sales in the U.S. also was essentially flat compared to the prior year, as continued low single-digit price declines and decreased usage of the Company’s legacy systems were mostly offset by revenue growth from recently launched products. Gross margin for the fourth quarter of 2017 was 63.3%, compared to 58.6% for the same period in 2016. The increase in gross margin was mainly driven by lower raw material and manufacturing costs for orthobiologics products manufactured at the Company’s Irvine, California facility and lower provisions for excess and obsolete inventory in the fourth quarter of 2017. Operating expenses for the fourth quarter of 2017 totaled $29.2 million, compared to $28.6 million for the same period of the prior year. The $0.6 million increase was driven primarily by higher commission expense and marketing costs, partially offset by a $1.5 million non-cash gain recorded in the fourth quarter of 2017 related to the release of a foreign capital tax liability based on the passage of the statute of limitations and lower consulting expenses. Net loss for the fourth quarter of 2017 was $7.5 million, compared to a net loss of $9.8 million for the fourth quarter of 2016. Cash and cash equivalents at December 31, 2017 totaled $10.8 million, and the Company had no amounts outstanding under its $30.0 million credit facility. Revenue for the year ended December 31, 2017 totaled $131.8 million, an increase of 2.3% compared to the prior year. U.S. revenue was $118.4 million, a 1.4% increase compared to the prior year. Orthobiologics revenue totaled $69.1 million, a 4.4% increase compared to the prior year. Spinal implant revenue totaled $62.7 million, essentially unchanged compared to the prior year. Gross margin for 2017 was 60.7%, compared to 56.9% for 2016. The increase in gross margin was mainly driven by lower raw material and manufacturing costs for orthobiologics products manufactured at the Company’s Irvine, California facility, and by lower provisions for excess and obsolete inventory in 2017. Operating expenses for 2017 totaled $112.7 million, compared to $116.8 million for 2016. The $4.1 million decrease was driven primarily by lower intangible asset amortization expense, the absence of a $0.9 million instrument impairment charge recorded in 2016, and a decrease in general and administrative expenses, all of which were partially offset by higher selling commissions and increased investment in marketing and product development in 2017. The decrease in general and administrative expenses was driven primarily by lower consulting and legal expenses, the $1.5 million non-cash gain related to the release of a foreign capital tax liability, a $0.9 million non-cash gain recorded in 2017 related to a decrease in the fair value of contingent consideration liabilities related to the NLT acquisition, and lower facility and related operating costs resulting from the shutdown of the Company’s Vista, California facility in late 2016. Net loss for 2017 was $32.1 million, compared to a net loss of $43.2 million for 2016. SeaSpine continues to expect full-year 2018 revenue to be in the range of $135 million to $139 million, reflecting growth of 2.5% to 5.5% over full-year 2017 revenue. The Company’s management team will host a conference call beginning today at 1:30pm PT/4:30pm ET to discuss the financial results and recent business developments. Individuals interested in listening to the conference call may do so by dialing (877) 418-4766 for domestic callers or (614) 385-1253 for international callers, using Conference ID: 7067009. To listen to a live webcast, please visit the Investors section of the SeaSpine website at: www.seaspine.com. SeaSpine (www.seaspine.com) is a global medical technology company focused on the design, development and commercialization of surgical solutions for the treatment of patients suffering from spinal disorders. SeaSpine has a comprehensive portfolio of orthobiologics and spinal implants solutions to meet the varying combinations of products that neurosurgeons and orthopedic spine surgeons need to perform fusion procedures on the lumbar, thoracic and cervical spine. SeaSpine’s orthobiologics products consist of a broad range of advanced and traditional bone graft substitutes that are designed to improve bone fusion rates following a wide range of orthopedic surgeries, including spine, hip, and extremities procedures. SeaSpine’s spinal implants portfolio consists of an extensive line of products to facilitate spinal fusion in minimally invasive surgery (MIS), complex spine, deformity and degenerative procedures. Expertise in both orthobiologic sciences and spinal implants product development allows SeaSpine to offer its surgeon customers a differentiated portfolio and a complete solution to meet their fusion requirements. SeaSpine currently markets its products in the United States and in over 30 countries worldwide. SeaSpine cautions you that statements included in this news release that are not a description of historical facts are forward-looking statements that are based on the Company’s current expectations and assumptions. Such forward-looking statements include, but are not limited to, statements relating to: the Company delivering improved procedural spine solutions and clinical value through an expanded and innovative product portfolio; the Company’s position to continue to upgrade its global distribution footprint; and the Company’s expectations for full-year 2018 revenue, as well as to deliver accelerated revenue growth and expanded gross margins. Among the factors that could cause or contribute to material differences between the Company’s actual results and the expectations indicated by the forward-looking statements are risks and uncertainties that include, but are not limited to: surgeons’ willingness to continue to use the Company’s existing products and to adopt its newly launched products, including the risk that the Company’s products do not demonstrate adequate safety or efficacy, independently or relative to competitive products, to support expected levels of demand or pricing; the ability of newly launched products to perform as designed and intended and to meet the needs of surgeons and patients, including as a result of the lack of clinical validation of products in limited commercial (or “alpha”) launch; the Company’s ability to attract new, high-quality distributors, whether as a result of inability to reach agreement on financial or other contractual terms or otherwise, disruption to the Company’s existing distribution network as new distributors are added, and the ability of new distributors to generate growth or offset disruption to existing distributors; continued pricing pressure, whether as a result of consolidation in hospital systems, competitors or others, as well as exclusion from major healthcare systems, whether as a result of unwillingness to provide required pricing or otherwise; the risk of supply shortages and the associated, potentially long-term disruption to product sales, including as a result of the Company’s dependence on a limited number of third-party suppliers for components and raw materials, or otherwise; unexpected expense and delay, including as a result of developing and supporting the launch of new products, the fact that newly launched products may require substantial additional development activities, which could introduce further expense and delay, or as a result of obtaining regulatory clearances; the Company’s ability to continue to invest in medical education and training, product development, and/or sales and marketing initiatives at levels sufficient to drive future revenue growth, including as a result of its inability to obtain funding on a timely basis on acceptable terms, or at all; general economic and business conditions in the markets in which the Company does business, both in the U.S. and abroad; and other risks and uncertainties more fully described in the Company’s news releases and periodic filings with the Securities and Exchange Commission. The Company’s public filings with the Securities and Exchange Commission are available at www.sec.gov. 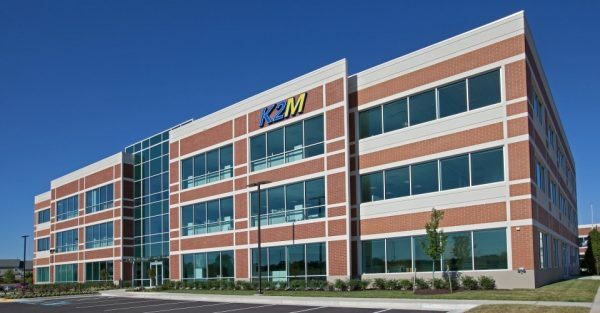 LEESBURG, Va., Feb. 28, 2018 (GLOBE NEWSWIRE) — K2M Group Holdings, Inc. (Nasdaq:KTWO) (the “Company” or “K2M”), a global leader of complex spine and minimally invasive solutions focused on achieving three-dimensional Total Body Balance™, today reported financial results for its fourth quarter and fiscal year ended December 31, 2017. Total fiscal year 2017 revenue of $258.0 million, up 9% year-over-year on both a reported basis and on a constant currency basis. International fiscal year 2017 revenue of $60.7 million, up 9% year-over-year, or 10% on a constant currency basis. Net loss of $37.1 million for fiscal year 2017, compared to a net loss of $41.7 million in prior year. Adjusted EBITDA loss of $0.7 million for fiscal year 2017, compared to Adjusted EBITDA of $1.4 million in the prior year. Total fourth quarter revenue of $67.8 million, up 10% year-over-year on a reported basis and 9% on a constant currency basis. International fourth quarter revenue of $15.9 million, up 13% year-over-year, and 10% on a constant currency basis. Net loss of $8.7 million for the fourth quarter, compared to a net loss of $12.5 million in the comparable quarter last year. Adjusted EBITDA loss of $1.9 million for the fourth quarter, compared to Adjusted EBITDA loss of $28,000 in the comparable quarter last year. On October 4, 2017, the Company announced that President and Chief Executive Officer Eric Major had been elected Chairman of the Company’s Board of Directors, effective immediately. Major succeeded Dan Pelak, who assumed the role of Independent Lead Director after serving as Chairman since 2010. On October 23, 2017, the Company announced that it has acquired from Cardinal Spine, a privately held medical device company, the PALO ALTO® Cervical Static Corpectomy Cage System. PALO ALTO, a cervical vertebral body replacement device, is the first and only static corpectomy cage in the world to receive a cervical 510(k) clearance from the FDA. In addition to PALO ALTO, K2M has also acquired the associated intellectual property and product inventory. On October 25, 2017, the Company announced a global compatibility and co-marketing agreement with Brainlab. 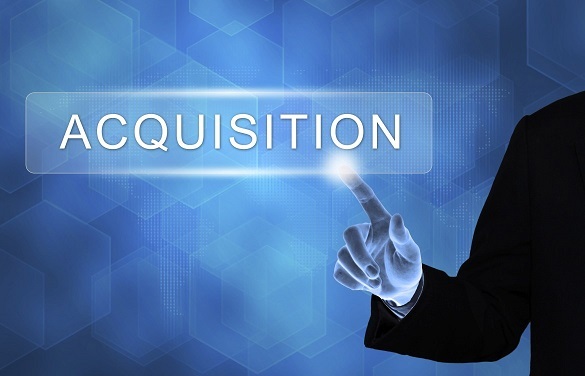 The two companies will collaborate in the commercial release of future navigated K2M spinal systems, which would be compatible with Brainlab spinal navigation systems. On November 30, 2017, the Company announced the completion of 300 surgical cases using the RHINE™ Cervical Disc System*. The RHINE Cervical Disc System* is an artificial disc replacement that features a one-piece compressible polymer core design with dome-shaped, plasma-coated endplates and a central-split keel. On December 20, 2017, the Company announced that it received a CE Mark for its CAPRI® Cervical 3D Expandable Corpectomy Cage System* featuring Lamellar 3D Titanium Technology™ and the successful completion of its first surgical case. * These products are intended for export and not sold or offered for sale in the United States. Total revenue for the fourth quarter of 2017 increased $6.0 million, or 9.7%, to $67.8 million, compared to $61.8 million for the fourth quarter of 2016. Total revenue increased 9% year-over-year on a constant currency basis. The increase in revenue was primarily driven by higher sales volume from domestic new surgeon users and newer product offerings, and increased set investments by our distribution partners in Australia and Denmark. Revenue in the United States increased $4.2 million, or 8.8% year-over-year, to $51.9 million, and international revenue increased $1.8 million, or 12.9% year-over-year, to $15.9 million. Fourth quarter 2017 international revenue increased 10% year-over-year on a constant currency basis. Foreign currency exchange positively impacted fourth quarter international revenue by $0.4 million, representing approximately 73 basis points of 2017 international growth year-over-year. The following table represents domestic revenue by procedure category. By procedure category, U.S. revenue in the Company’s complex spine, MIS and degenerative categories represented 38.6%, 17.2% and 44.2% of U.S. revenue, respectively, for the three months ended December 31, 2017. Gross profit for the fourth quarter of 2017 increased 13.6% to $43.6 million, compared to $38.4 million for the fourth quarter of 2016. Gross margin was 64.3% for the fourth quarter of 2017, compared to 62.1% for the prior year period. Gross profit includes amortization expense on investments in surgical instruments of $3.6 million, or 5.3% of sales, for the three months ended December 31, 2017, compared to $3.6 million, or 5.8% of sales, for the comparable period last year. Operating expenses for the fourth quarter of 2017 increased $4.7 million, or 9.9%, to $52.5 million, compared to $47.7 million for the fourth quarter of 2016. The increase in operating expenses was driven primarily by a $4.9 million increase in sales and marketing expenses, compared to the comparable period last year. The Company increased the number of domestic sales agencies who represent our products in the United States by nine agencies to a total of 109 independent sales agencies, an increase of 9% sequentially. In addition, the Company’s U.S. and non-U.S. direct sales employees remained flat at 158 employees, despite active management of this group. Loss from operations for the fourth quarter of 2017 decreased $0.5 million to $8.9 million compared to a loss from operations of $9.4 million for the comparable period last year. Loss from operations included intangible amortization of $0.2 million for the three months ended December 31, 2017, compared to $2.6 million for the comparable period last year. The Company recorded approximately $1.4 million in non-recurring accruals primarily reflecting legal and administrative expenses updated in 2018 and inventory adjustments. Total other expenses for the fourth quarter of 2017 decreased $1.6 million to $1.5 million, compared to $3.1 million last year. The decrease in other expense, net, was primarily attributable to a unrealized gain of $0.3 million from foreign currency remeasurement on intercompany payable balances, compared to unrealized loss of $1.3 million in the comparable period last year. Net loss for the fourth quarter of 2017 was $8.7 million, or $0.20 per diluted share, compared to a loss of $12.5 million, or $0.30 per diluted share, for the fourth quarter of 2016. 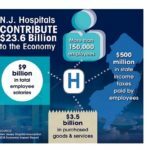 For the fiscal year 2017, total revenue increased $21.4 million, or 9.0%, to $258.0 million, compared to $236.6 million for the fiscal year 2016. Total revenue increased 9.1% year-over-year on a constant currency basis. U.S. revenue increased $16.2 million, or 9.0%, to $197.3 million, compared to $181.1 million last year. International revenue increased $5.2 million, or 9.3%, to $60.7 million, compared to $55.6 million last year. International revenue increased 9.7% year-over-year on a constant currency basis. Sales in our complex spine, MIS and degenerative categories represented 39.3%, 16.9% and 43.9% of U.S. revenue, respectively, for the fiscal year 2017. As of December 31, 2017, we had cash and cash equivalents of $24.0 million as compared to $45.5 million as of December 31, 2016. We had working capital of $99.6 million as of December 31, 2017 as compared to $115.9 million as of December 31, 2016. At December 31, 2017, outstanding long-term indebtedness included the carrying value of the Convertible Senior Notes of $39.2 million and the capital lease obligation of $33.8 million. The Company had unused capacity on its revolving credit facility of $49.0 million and no borrowings outstanding as of December 31, 2017. Total revenue on an as reported basis in the range of $280.0 million to $284.0 million, representing growth of 9% to 10% year-over-year, compared to total revenue of $258.0 million in fiscal year 2017. The Company expects growth in its U.S. business of approximately 10% to 11% year-over-year in 2018. The Company expects growth in its International business of approximately 5% to 7% year-over-year in 2018. Assuming current currency rates remain similar for the rest of the year, the Company expects currency to have a positive impact on total revenue in 2018 of approximately $2 million. Total net loss of $34.0 million to $30.0 million, compared to net loss of $37.1 million in fiscal year 2017. Adjusted EBITDA benefit in the range of $4.0 million to $8.0 million, compared to Adjusted EBITDA loss of $740,000 in fiscal year 2017. Management will host a conference call at 5:00 p.m. Eastern Time on February 28th to discuss the results of the fourth quarter and fiscal year 2017, and to host a question and answer session. Those who would like to participate may dial 844-579-6824 (734-385-2616 for international callers) and provide access code 3754359 approximately 10 minutes prior to the start of the call. A live webcast of the call will also be provided on the investor relations section of the Company’s website at http://Investors.K2M.com/. For those unable to participate, a replay of the call will be available for two weeks at 855-859-2056 (404-537-3406 for international callers); access code 3754359. The webcast will be archived on the investor relations section of the Company’s website. YARDLEY, Pa., Feb. 28, 2018 /PRNewswire/ — Heraeus Medical, a global leader in joint fixation and infection management announced today the introduction of innovations to its current PALACOS® product portfolio. The exciting new products include the medium viscosity bone cement PALACOS MV variations, along with two mixing systems, PALAMIX® and PALABOWL®. The innovative PALAMIX® and PALABOWL®, while created for use with PALACOS® bone cement, can be effectively used with other types of bone cements. These new products, along with the complete PALACOS® portfolio, will be displayed during the American Academy of Orthopedic Surgeons’ Annual Meeting, March 6-10, 2018 in New Orleans. AAOS attendees wanting to learn more about the medium viscosity bone cement, versatile mixing options or view other ground-breaking products are encouraged to visit Heraeus Medical at booth 1713 and participate in demonstrations and discussions. In January, the company announced it would provide PALACOS® customers with earlier access to its latest technologies by selling to them directly. PALACOS®, formerly sold exclusively through a distributor in the US, is now available directly through its pioneer and manufacturer, Heraeus Medical. New and existing PALACOS® customers in the US are able to order products directly from Heraeus Medical by calling 1-833-PALACOS (725-2267). 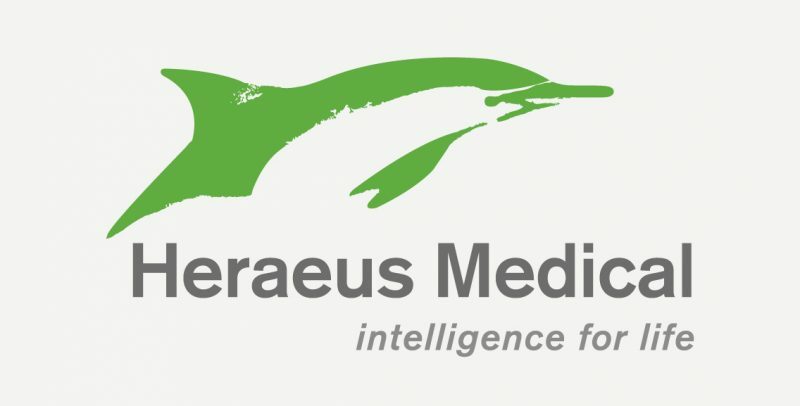 Heraeus Medical has successfully sold and supported PALACOS® customers directly in Europe, Australia, and several other countries through an integrated ordering process that is now also available to US customers. For more information or to order PALACOS® in the US, please visit www.heraeus-medical-usa.com or call 1-833-PALACOS (725-2267). For more information during AAOS, please visit Heraeus Medical at booth 1713. Heraeus Medical is known as a global leader in joint fixation and infection management in orthopedics and trauma surgery. This enables the company to make an important contribution to supporting surgeons and the surgical team and to improve surgery outcomes. In the area of biomaterials, Heraeus Medical focuses on products for use in bone and joint surgery. The core product PALACOS® is considered the gold standard among bone cements and has repeatedly proven itself over five decades of clinical use. We create high-quality solutions for our customers and strengthen their long-term competitiveness by combining material expertise with technological know-how. Our ideas are focused on important issues such as the environment, energy, health, mobility, and industrial applications. 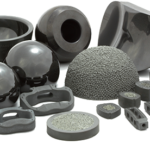 Our portfolio ranges from components to coordinated material systems which are used in a wide variety of industries, including the steel, electronics, chemical, automotive, and telecommunications industries. In the 2016 financial year, the FORTUNE Global 500 listed company-generated revenues without precious metals of US$2.2 bn and a total revenue of US$23.8 bn. With approximately 12,400 employees worldwide in more than 100 subsidiaries in 40 countries, Heraeus holds a leading position in its global markets. In 2016, the Foundation for Family Businesses named Heraeus as one of the “Top 10 Family Businesses” in Germany. MISGAV, Israel, Feb. 28, 2018 /PRNewswire/ — OrthoSpin Ltd. (“OrthoSpin”), a portfolio company of The Trendlines Group Ltd. (“Trendlines”) (SGX: 42T; OTCQX: TRNLY), announced that it successfully completed a first-in-human (FIH) case for its smart, robotic external fixation system for the treatment of an orthopedic deformity. The patient was a 15-year-old suffering from deformity of the tibia. The deformity caused shortening of the leg and a limp, limited his daily activity, had the potential to disrupt his growth, and had aesthetic consequences. Pediatric orthopedic surgeon Dr. Eitan Segev, of Tel Aviv Sourasky Medical Center’s Dana-Dwek Children’s Hospital, performed surgery to correct the deformity, which was followed by external fixation with the Taylor Spatial frame using OrthoSpin’s smart automatic control system. 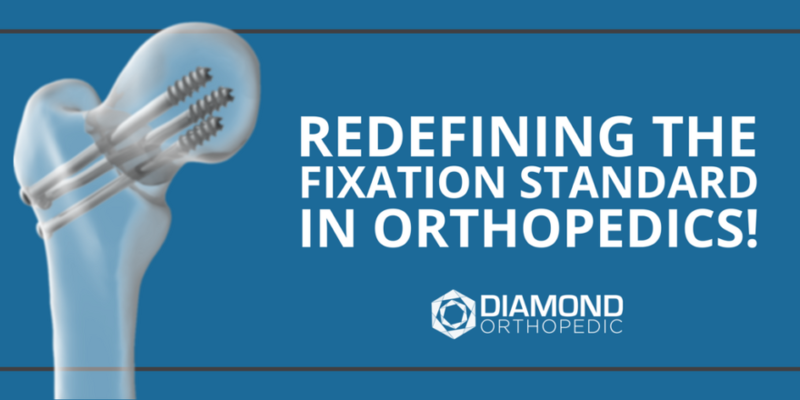 Instead of conventional manual adjustment of the external fixator, the OrthoSpin system makes pre-programmed adjustments automatically and continuously — without the need for patient involvement. Integrated software enables physicians to chart patient progress and, if required, quickly adjust the treatment regimen. Physicians receive real-time feedback on computers or mobile devices to ensure that the prescribed course of treatment is followed. Using the system also eliminates the need for weekly x-rays to check status. The precise adjustments of OrthoSpin’s system resulted in a less painful process due to smaller, more incremental changes – in this case, an eighth of a millimeter in movement – which are expected to reduce soft tissue damage. Meet OrthoSpin CEO Oren Cohen and see a working prototype of the OrthoSpin smart external fixation system at the AAOS Annual Meeting in New Orleans, Louisiana, 6-10 March 2018. February 28, 2018 (TAMPA, Fla.) – Laser Spine Institute, the leader in minimally invasive spine surgery, today announced the appointment of Thomas Linton as its first-ever Chief Patient Empowerment Officer. 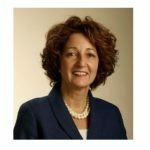 Linton previously served as Vice President of Customer Experience at Assurant, a Fortune 500 insurance company. As Chief Patient Empowerment Officer, Linton will have oversight of the organization’s patient-facing teammates who serve as the first touch in the patient experience, those who are the patient’s main contact throughout their journey and liaisons with physicians in local markets. Linton will also help identify patients’ interactions, which are critical moments of truth, to improve their overall experience. Linton has more than 20 years of experience in marketing, sales and customer experience, with a focus on delivering customer-centered solutions. Prior to joining Laser Spine Institute, Linton also held leadership positions at AT&T, Bank of America and General Electric. Linton’s years of experience have made him known for his effectiveness in driving growth, improving efficiencies and finding customer solutions. Linton received his Master of Business Administration in marketing and strategic planning from the Wharton School at University of Pennsylvania. He also holds a Bachelor of Science in electrical engineering and a Master of Engineering from the University of Louisville. He serves on the Board of Directors for the George M. Hughes Foundation, which provides college scholarships to deserving high school seniors. For more information, visit http://news.laserspineinstitute.com/. Headquartered in Tampa, Florida, Laser Spine Institute currently operates seven regional surgery centers across the country, in Tampa, Florida; Scottsdale, Arizona; Philadelphia; Oklahoma City; Cleveland, St. Louis and Cincinnati. Laser Spine Institute has helped more than 75,000 patients find relief from debilitating neck and back pain caused by spinal stenosis, degenerative disc disease, pinched nerves, bone spurs, bulging/herniated discs, sciatica and other chronic conditions. Patients often refer a friend or family member to have surgery at Laser Spine Institute; we have a patient recommendation score of 97 out of 100. Additionally, Laser Spine Institute has been repeatedly recognized for outstanding patient satisfaction and reports an enterprise patient satisfaction score of more than 96. Laser Spine Institute has been named a top employer by Modern Healthcare, Tampa Bay Times, Tampa Bay Business Journal, Philly.com and okc.BIZ and a Most Admired Company by BestCompaniesAZ. 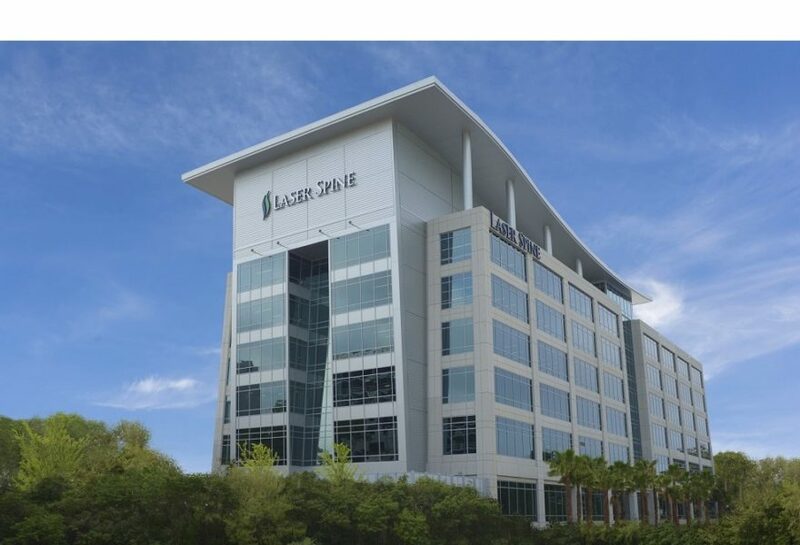 Opening in Tampa in 2005 with one operating room and nine employees, Laser Spine Institute now has nearly 1,000 corporate and health care professionals across the country. Diamond Orthopedic, a medical device company that is pioneering the use of an innovative faceted threadform in orthopedics, today announced that their faceted technology was successfully used in an intercalary tibial allograft. SUNNYVALE, Calif.–(BUSINESS WIRE)–Simplify Medical Pty Ltd, maker of the Simplify® cervical artificial disc, today announced receipt of the company’s 50th U.S. patent for its innovative cervical motion preservation intellectual property (IP) portfolio. The Simplify Disc is designed to minimize patient risk associated with radiation, optimize long-term durability, simplify implantation and increase access to cervical disc replacement for patients with smaller anatomies. The company’s 50th patent, U.S. Patent No. 9,883,945, is entitled “Artificial Intervertebral Disc with Lower Height” and relates to the unique low-profile and more anatomically-shaped disc design. Other recent patents include U.S. Patent No. 9,839,532, covering Simplify Medical’s proprietary methods for inserting intervertebral discs in a less traumatic manner, and U.S. Patent No. 9,839,525, relating to implanting intervertebral discs with a movable core and a protrusion for holding the core captive between endplates. The Simplify Disc is anatomically designed with low height implant options, as low as four millimeters, to treat a broad range of patients, including patients with smaller cervical disc spaces. Composed of primarily non-metal materials (PEEK-on-ceramic), the Simplify Disc is designed to be viewed on magnetic resonance imaging (MRI) in order to minimize post-operative patient exposure to radiation from computed tomography (CT) scans currently necessary to view metal discs. While MRI is widely used pre-operatively for surgical planning, spine surgeons often switch to CT scans post-operatively in order to accommodate metal components, which can make it difficult to view the devices, as well as the facets and adjacent disc levels. However, CT scans have been shown to expose patients to ionizing radiation that equates to 400 to 550 chest X-rays per scan. 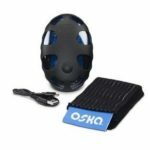 The device is considered MRI-conditional, posing no known hazard in an MRI environment within prescribed conditions of use. The Simplify Disc is being studied in two U.S. pivotal trials. The one-level, prospective trial comparing Simplify Disc with cervical fusion surgery at one level between C3 to C7 has completed enrollment. Use of the Simplify Disc in two levels of the spine is being studied in a second IDE trial in the U.S., which is approximately 40 percent enrolled, and enrollment is expected to be completed by the end of 2018. The two-level, prospective pivotal trial will encompass up to 200 patients at up to 18 centers, comparing cervical implantation of the device in two contiguous discs from C3 to C7 with two-level cervical fusion surgery. For information about eligibility or enrollment in the two-level pivotal trial, please visit http://www.simplifytrial.com/. The Simplify Disc has received the CE Mark and is commercially available in select European markets. Early clinical data has shown substantial improvement in patient pain scores and functional improvement after treatment. 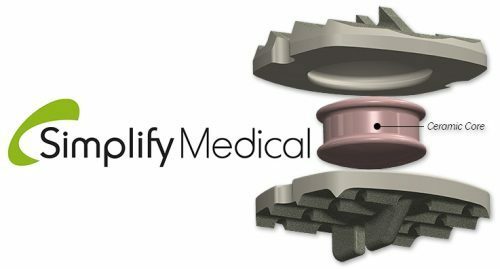 Simplify Medical is focused on cervical spinal disc arthroplasty, using innovative, MRI-friendly materials designed to decrease the need for ionizing radiation and enhance patient options. Simplify Medical is located in Sunnyvale, California. To learn more, visit http://www.simplifymedical.com/. Caution: The Simplify Disc is an investigational device in the United States and is limited by law to investigational use. 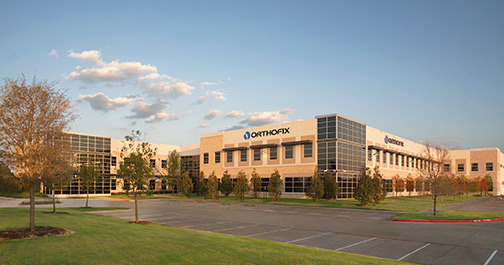 LEWISVILLE, Texas–(BUSINESS WIRE)– Orthofix International N.V. (NASDAQ:OFIX) today reported its financial results for the fourth quarter and fiscal year ended December 31, 2017. For the fourth quarter of 2017, net sales were $116.9 million, earnings per share from continuing operations was $0.08 and adjusted earnings per share from continuing operations was $0.52. For fiscal year 2017, net sales were $433.8 million, earnings per share from continuing operations was $0.39 and adjusted earnings per share from continuing operations was $1.62. “2017 was a very strong year for Orthofix. We exceeded our topline expectations and finished the year with a solid margin improvement trajectory. We also made significant progress in the transformation of our Spine Fixation business and completed our worldwide restructuring initiatives,” said Brad Mason, President and Chief Executive Officer. Gross profit increased $8.1 million to $93.3 million. Gross margin increased to 79.8% compared to 78.5% in the prior year period, primarily due to increased revenue from international Extremity Fixation stocking distributors, as well as our domestic and international restructuring initiatives during 2017. Non-GAAP net margin (gross profit less sales and marketing expenses) was $41.5 million, an increase of 13.6% compared to $36.5 million in the prior year period. The increase in non-GAAP net margin was primarily due to the increase in gross margin and a slight decrease in sales and marketing expenses as a percent of sales. Net income from continuing operations was $1.5 million, or $0.08 per share, compared to net loss of $5.1 million, or ($0.29) per share in the prior year period. Adjusted net income from continuing operations was $9.7 million, or $0.52 per share, compared to adjusted net income of $7.7 million, or $0.42 per share in the prior year period. EBITDA was $21.8 million, compared to $8.6 million in the prior year period. Adjusted EBITDA was $24.3 million or 20.8% of net sales for the fourth quarter, compared to $21.1 million or 19.4% of net sales in the prior year period. Driven by the increase in net sales, gross profit increased $18.9 million to $340.8 million, while gross margin was flat at 78.6% compared to the prior year period. Non-GAAP net margin was $142.4 million, an increase of 1.3% compared to $140.6 million in the prior year period. The increase in Non-GAAP net margin was due to the increase in net sales, partially offset by higher commission expenses from geographic mix in Extremity Fixation and higher commission rates from Biologics and Spine Fixation distributors. Net income from continuing operations was $7.3 million, or $0.39 per share, compared to net income of $3.5 million, or $0.19 per share in the prior year. Adjusted net income from continuing operations was $30.1 million, or $1.62 per share, compared to adjusted net income of $27.0 million, or $1.46 per share in the prior year. EBITDA was $56.9 million in 2017, compared to $39.1 million in the prior year. Adjusted EBITDA was $81.6 million or 18.8% of net sales for the year, compared to $79.3 million or 19.4% of net sales in the prior year. On January 1, 2018, the Company adopted the new revenue recognition standard, ASU 2014-09, as amended, using a cumulative effect adjustment, which resulted in a significant increase in accounts receivable, a decrease in inventories, and a related change to deferred income taxes. These changes were offset by an adjustment to the Company’s opening retained earnings of approximately $5 million. One of the primary impacts of this new standard is the timing of revenue recognition for our sales to international Extremity Fixation and Spine Fixation stocking distributors that were historically accounted for using the sell-through method. This revenue will now be recorded on invoiced sales instead of deferring recognition until cash is received. If the Company were to have adopted the new standard as of January 1, 2017, pro-forma net sales for the year ended December 31, 2017 would have been approximately $431 million. Refer to the table under the subheading “2017 Pro-forma Net Sales Under the New Revenue Recognition Standard” for the detail of pro-forma 2017 net sales by quarter as would have been reported under the new revenue recognition standard. As of December 31, 2017, cash and cash equivalents were $81.2 million compared to $39.6 million as of December 31, 2016. As of December 31, 2017, we had no outstanding indebtedness and borrowing capacity of $125 million. Cash flow from operations increased $8.6 million to $53.3 million, while free cash flow increased $10.0 million to $36.4 million. The Company is in the final stages of evaluating the impact of moving its parent company’s domicile from Curacao to the United States. Based on the analysis to date, including the assessment of the recent U.S. tax reform, the Company believes that executing this change could provide a number of benefits to Orthofix, including organizational simplification, more efficient cash deployment, a lower tax rate and increased cash flow. Subject to the outcome of final diligence, the Company currently anticipates requesting shareholder approval for this move in conjunction with its annual shareholder meeting later this year. The Company also expects to incur costs this year to complete all of the underlying steps required for this transition. These estimated costs are included in our 2018 guidance. For the year ending December 31, 2018, the Company expects the following results, assuming exchange rates are the same as those currently prevailing. This guidance reflects the new revenue recognition standard that is required as of January 1, 2018 and discussed above, for which net sales will be recorded on invoiced sales instead of deferring recognition until cash is received. 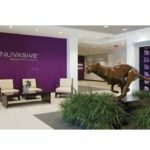 SAN DIEGO, Feb. 26, 2018 /PRNewswire/ — NuVasive, Inc. (NASDAQ: NUVA), the leader in spine technology innovation, transforming spine surgery with minimally disruptive, procedurally-integrated solutions, announced today financial results for the quarter and full year ended Dec. 31, 2017. The Company reported a GAAP net income of $83.0 million, or $1.50 per share, for the full year 2017 compared to a GAAP net income of $37.1 million, or $0.69 per share, for the full year 2016. On a non-GAAP basis, the Company reported net income of $99.9 million, or $1.91 per share, for the full year 2017 compared to net income of $86.5 million, or $1.66per share, for the full year 2016.